Anyway, will be posting the swatches of this amazing collection when I return from my mini break. I'm excited because I really do find it fantastic. 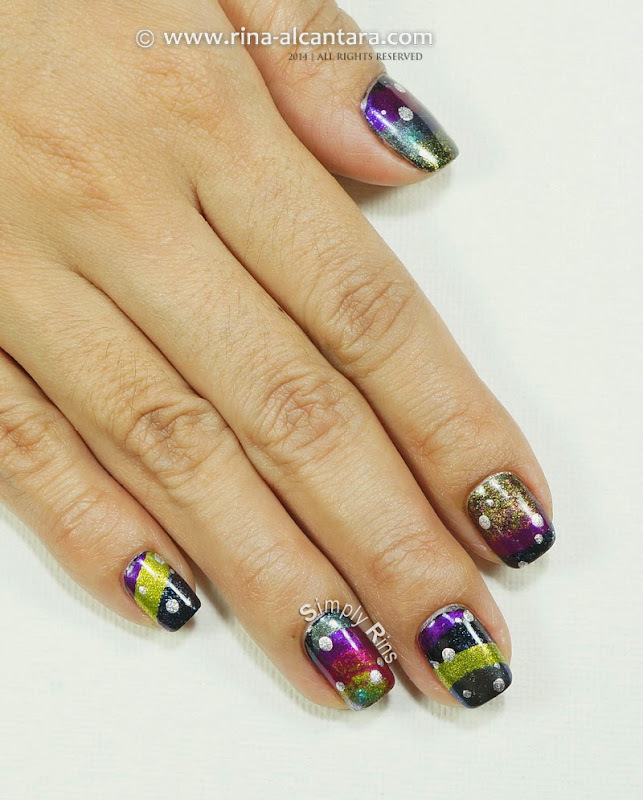 The polishes in this collection can be worn by itself, but they all look better if layered over black. More on that on my review post. 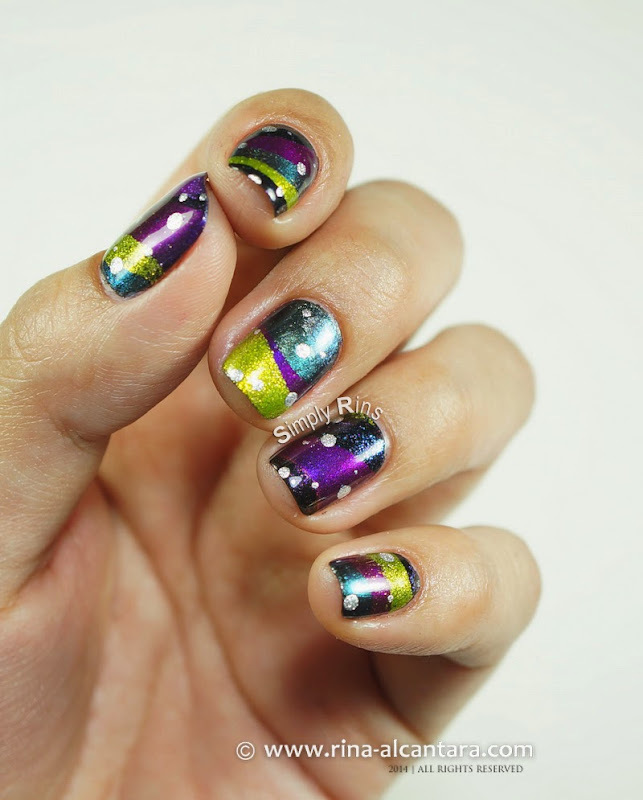 So for the new year, I thought that swirling these wonderful shimmer nail lacquered would look great and it did! I loved how it turned out. I bet that it would look greater under sun and I'll make sure to take a photo during my trip. So for this water marble manicure, I first polished my nails with Deborah Lippmann Edge of Glory, a black creme in 2 coats. I allowed it to completely dry, brushed my fingers with lotion before swirling. I didn't use all the colors, only the shimmered ones. After, I added a few silver dots to make it more "festive" to look at. 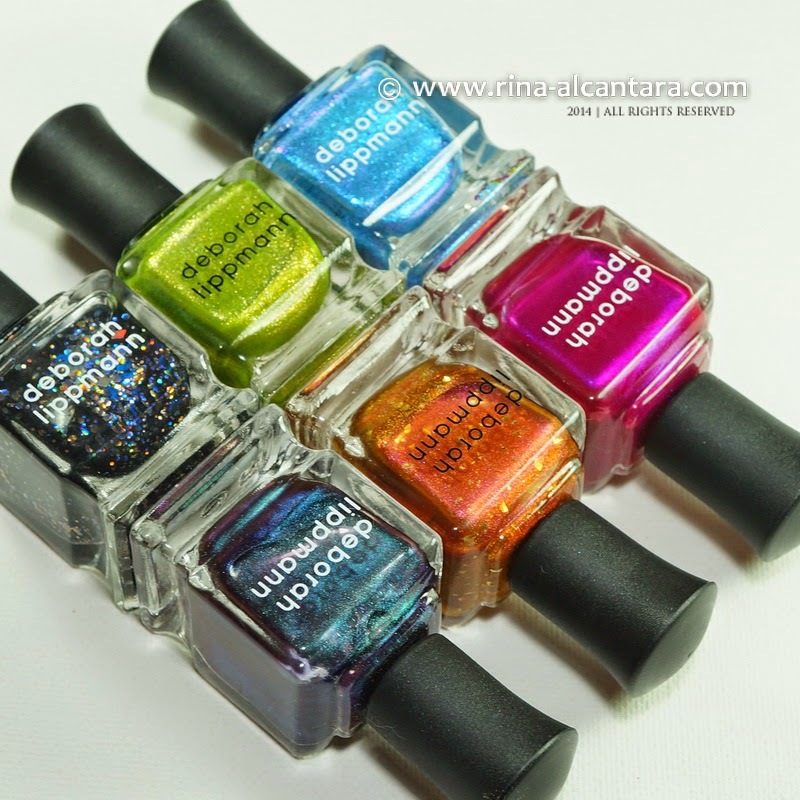 Disclosure: Nail polishes used in this post were sent to me for impartial review. I really like the information you offer in your articles.Really glad to read this article and I will refer this site to my friends.This post provides more useful information.I am working at top essay writing service ).Go to this top essay writing service for any kind of academic writing work.